It’s the first PopCulteer of 2015 and this week we’re going to look back and look forward with a bunch of random posts about a variety of topics. Hey, it’s the time of year for reflection, and it gives us a way to fill up our weekly PopCulteer. 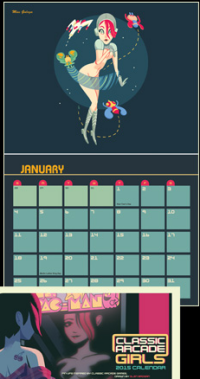 Glen Brogan has an incredible 2015 calendar available that features his artwork depicting classic video game pin-up girls. You can buy it HERE. Exactly one year ago today I bolted from the clutches of Suddenlink Cable and found solace in the bosom of Direct TV. I do not regret my decision one bit. In fact, I encourage anyone else who can to do so. If you have Suddenlink for cable service you are paying too much for poor quality and few channels. 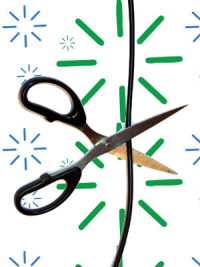 I kept Suddenlink’s high-speed internet, and even with it “un-bundled” I’m paying way less for both services combined than I had been for the bundle of cable and internet from Suddenlink. I’m quite happy with Suddenlink’s internet service, it was just their television that had become overpriced and unreliable. 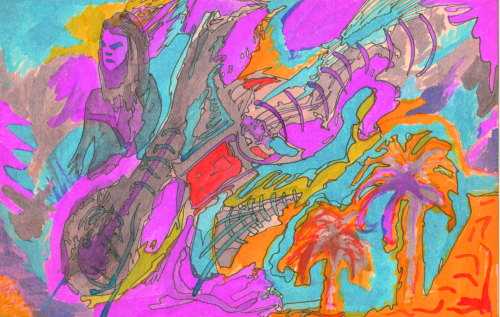 It’s not Monday, but why the heck don’t we start off the new year with some new art? Well, it’s new to you. In fact, it’s really nearly thirty years old. “The Queen of the End of the World” is a piece I did in the 1980s using Doctor Martin’s Dyes and a brush. It was tucked away in storage for a long time, until I recently decided to shake up my archives a bit, and this floated to the surface. Even though it looks a heck of a lot like I was just cleaning brushes, I thought I’d post it here for your amusement. Click on the image to see a larger version.